Although digital and printable slids are called the same thing, the principles of their creation and subsequent display are very different. In order to create printable slids, we use lenticular printing technology, which were have improved on a lot, applying modern technological achievements in the field of data processing, computer vision, and modern printing methods. Although this technology has been around for a while and you might know about from old greeting cards or modern promo products, it has still remained impossible to use for creating large scale, but individualized production. We spent several years actively researching in the field of computer vision, processing large amounts of graphic data, optics, and modern printing methods in order to create this remarkable product and achieve very high quality. 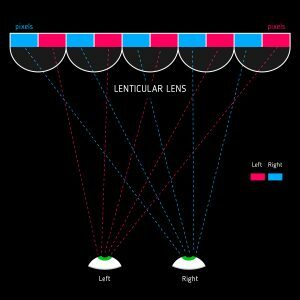 A large number of lenses will be placed over the image, which produce different images for different people’s eyes viewing them. For this reason, it seems to you that you are looking an in-depth image the way it is in real life. During the capturing process, your device analyzes the space and based on parameters determining a specific environment every time takes a large amount of shots in your device camera’s full resolution. Then, these shots are processed in a special way and compactly archived for sending via the internet. Despite the compact packaging, each printable slid on average consists of about 100 MB. After you’ve chosen the formats of the ready slids you need and have fully paid for the order, the data of the printable slid transfer along an encrypted connection to our servers where they are unpacked and subject to automated computer processing with an aim to obtain the ready printable slid. After your order is fully created, it is packaged and sent out to the address you indicate (no more than in 3 business days). Delivery is free all over the world with a tracking number for each order by default, but express delivery can be selected as well. The entire process of receiving the order can be tracked using the mobile app Slidor.